Israeli soldiers killed, on Thursday evening, a Palestinian teen from occupied Jerusalem, and injured two others, after opening fire at their car near Beit El military roadblock, north of the al-Biereh city, in the central West Bank governorate of Ramallah and al-Biereh. 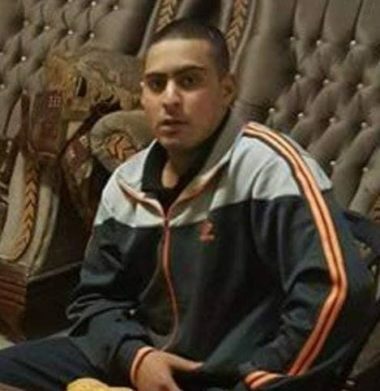 Media sources said the slain teen has been identified as Qassem Mohammad Ali Abasi, 17, from Silwan town, south of Al-Aqsa Mosque in occupied Jerusalem. The wounded Palestinians have been identified as Mohammad Hani al-Abasi, 28, and two teens; Mohammad Ma’moun Abasi and his brother Mahmoud. They suffered mild-to-moderate wounds, before the army detained them, and moved them to a hospital. Palestinian sources said Qassem was in a car transporting four Palestinians, all carrying Jerusalem ID cards, and just after arriving at Beit El military roadblock, the soldiers suspected that the car “was involved in a shooting” targeting a bus station on the colonialist road #60, close to Ofra illegal colony, east of Ramallah, although the distance between Ofra and Beit El is about 2 Kilometers, and the fatal shooting that killed Mohammad took place 40 minutes later. Eyewitnesses said that members of Abasi family were driving two cars, returning to Jerusalem from Nablus, before one of the cars skidded due to the rain, and the soldiers opened fire at it. The army closed Ofra junction after the alleged shooting at the bus station, and said that the soldiers fired back, before the army invaded Ein Yabrud nearby town. Furthermore, the army completely closed various areas in the governorate, including the gate leading to the al-Jalazoun refugee camp, in addition to the towns of Deir Dibwan, Silwad, Doura al-Qare’, and Ein Siniya. The soldiers also attacked many Palestinians at Ein Siniya Junction, north of Ramallah, after the army stopped and searched dozens of cars. The soldiers also invaded Doura al-‘Qare’, and declared it a closed military zone, before storming and ransacking many shops, causing excessive damage after the soldiers claimed they were unable to find surveillance recordings in the stores. The soldiers fired gas bombs and concussion grenades at many Palestinian protesters, and prevented journalists and medics from entering the town.